Briefly announced and discussed during AMD’s 2015 GPU product presentation yesterday morning was AMD’s forthcoming dual Fiji video card. The near-obligatory counterpart to the just-announced Radeon R9 Fury X, the unnamed dual-GPU card will be taking things one step further with a pair of Fiji GPUs on a single card. 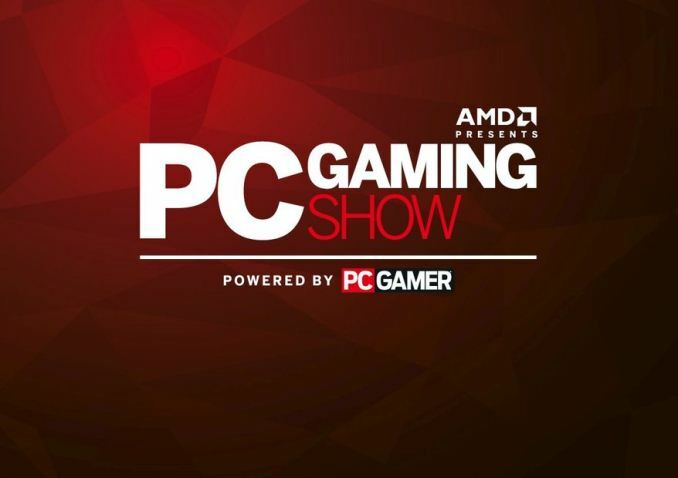 Meanwhile as part of yesterday evening’s AMD-sponsored PC Gaming Show, CEO Dr. Lisa Su took the stage for a few minutes to show off AMD’s recently announced Fury products. And at the end this included the first public showcase of the still in development dual-GPU card. There’s not too much to say right now since we don’t know its specifications, but of course for the moment AMD is focusing on size. 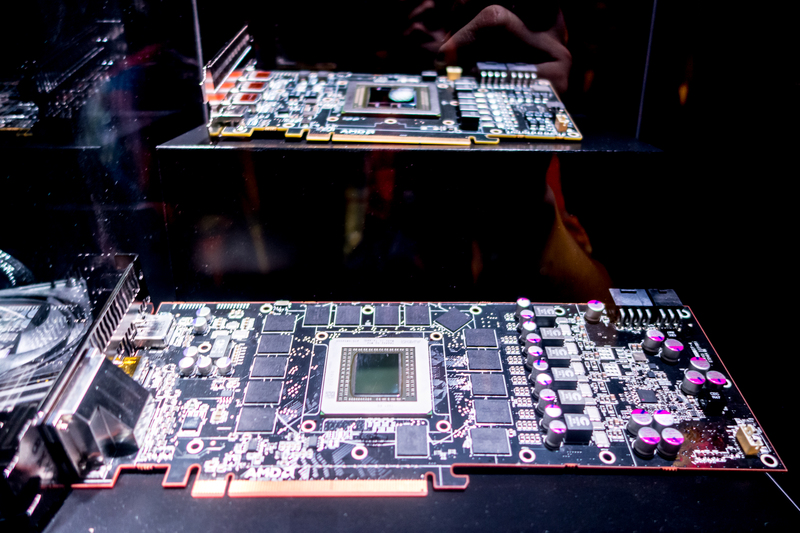 With 4GB of VRAM for each GPU on-package via HBM technology, AMD has been able to design a dual-GPU card that’s shorter and simpler than their previous dual-GPU cards like the R9 295X2 and HD 7990, saving space that would have otherwise been occupied by GDDR5 memory modules and the associated VRMs. Meanwhile on the card we can see that it uses a PLX 8747 to provide PCIe switching between the two GPUs and the shared PCIe bus. And on the power delivery side the card uses a pair of 8-pin PCIe power sockets. At this time no further details are being released, so we’ll have to see what AMD is up to later on once they’re ready to reveal more about the video card. Arstechnica has one. I'm not sure which card is the traditional PCB layout; but there hasn't been much variation in the PCB layouts of large single GPU cards for the last half dozen+ generations. The bottom one, with all the memory chips around the GPU, is the "old" layout. The top one is the new layout with the HBM memory on the GPU die. "My numbers show that at this time, there is no need for more than 4 GB of VRAM when targeting playable framerates. " " Man it must be so embarrassing to work there."